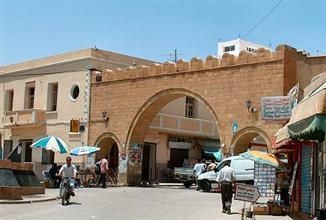 The town of Kelibia is on the northeast coast of Tunisia on the peninsula of Cap Bon. It has a population of about 43,000, according to the 2004 census. It is an important fishing port and is home to the National Fishing School of Tunisia which trains fishermen from all over the country. 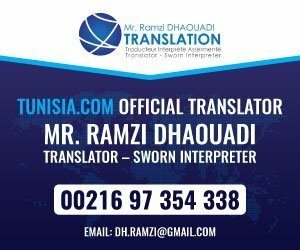 This authentic Tunisian town has some charming spots worth visiting although it is widely spread and visitors should expect to do plenty of walking. The town centre has principally white buildings in both the old and new parts of the city, which gives it a picturesque almost biblical air.The town was certainly in existence as long ago as 309BC when it was captured by Agathocles of Syracuse and renamed Aspis, which means “shield”. During the first Punic wars of 255BC it was captured by the Roman consul, Regulus, and in 145BC was razed to the ground during the Third Punic War. It was later rebuilt by the Romans and named Clupea.To the north of the town is the restored fort, sitting on a rocky crag about 150 metres above the sea. A steep drive leads up to the well-preserved walls. The fort is not terribly decorative as it was built principally as a defensive structure rather than a royal palace. However the deep wells are interesting as they actually belonged to an even older structure on the same location which probably dates back to Byzantine times, having being rebuilt several times since. The views from the crenellated ramparts are well worth the climb as they look out to sea as far as Sicily on a clear day and across the flat lands of Cap Bon. One of the best sights from the top is seeing the flotillas of small fishing vessels heading out to sea. The string of local beaches are long and clean with clear water and soft sands. Some of the best are reached from Mansourah. They are mostly frequented by the locals with a few tourists finding their way there.Kelibia is very visitor-friendly and offers a combination of local charm and peaceful tranquility. There are some local restaurants but no tourist stalls and gift shops. The local wine, Muscat de Kelibia, is a fruity regional wine made in Kelibia and considered one of the best in the country. The town is also famous for volleyball with an active Olympic Volleyball Club which has won several national championships. Kelibia is easy to reach from Tunis, 104km away, along P1 then branching off along C26 and C43 to the town. Buses run fairly infrequently and may require a change at Nabeul. Shared taxis are a better possibility or rent a car for the day which will make the journey very easy. Kelibia has a number of hotels which range from basic to good in standard. They all offer excellent value for money. The Going One Kelibia is a tourist-grade hotel with a swimming pool and reasonable amenities. The Hotel Palmarina is a more basic B&B on Route de la Plage. The sizeable town of Kelibia has a good choice of local restaurants which offer excellent value for money and tasty local cuisine. There is little nightlife in Kelibia. The best months to visit Kelibia are between April and October when temperatures range from 20-32C (68-90F). July and August can be very hot and humid. Winters are mild with more frequent showers. Kelibia has a number of main banks with ATMs and currency exchange services. The better hotels also have an exchange service for guests. 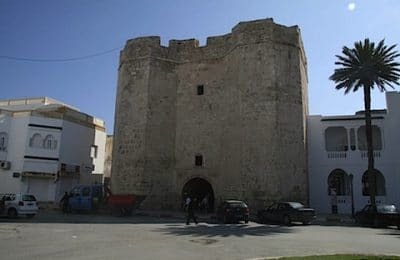 Kelibia has good connections with the neighbouring towns of El Harouaria and Nabeul. Buses run fairly infrequently so the shared taxis (louages) are the most reliable option.